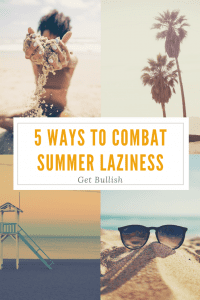 Summer can make us lazy. Very lazy. I grew up in Virginia Beach, where it’s not quite perpetual summer (you need to own some kind of winter coat), but where a small number of people insist on MAKING A POINT by wearing flip-flops every single day (even when there’s an inch or two of snow). You can see my disdain. It was very important to my life success that I didn’t discover that beaches are awesome until I was about 30 and could afford to stay in the kind of hotels that serve you drinks (and if you are in France, prawns) on the beach. 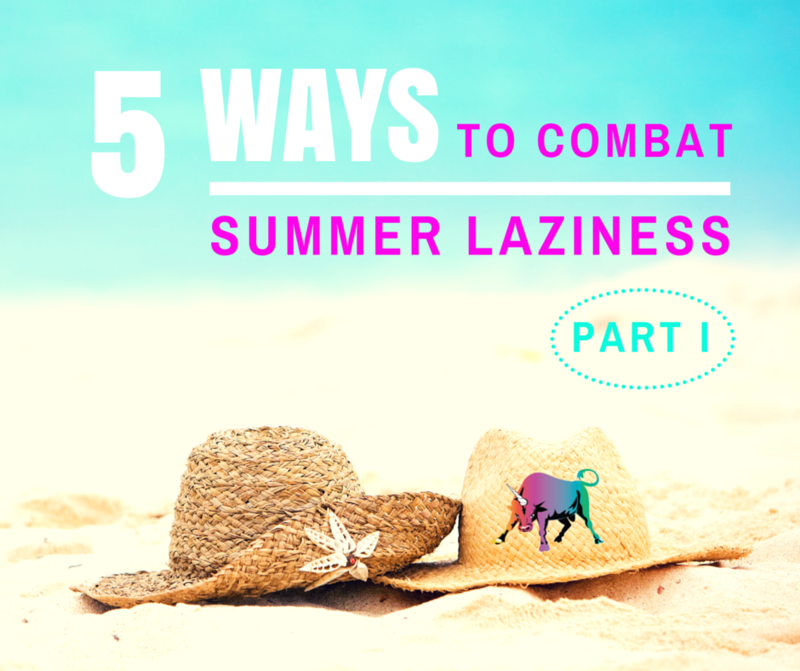 Here are some ways to combat summer laziness. Are you just feeling so lazy that you cannot regain your former productivity until this heat wave is over and you have returned from whatever vacation you are planning and everyone else stops showing up at work in flip-flops? Tim Ferriss (about whom I am more than ambivalent: he has good ideas that he chooses to use to be kind of a douche, but you could use his good ideas to better ends) asked in The Four-Hour Workweek how you would run your life and job if you had a heart attack and your doctor told you you could only work two hours per day. What about two hours per week? What would you make sure to get done in those two hours? If you are a conventionally-employed person, perhaps ask what two-hour task your boss would be most likely to notice and reward you for. Do that first. 2. Delegate or ask for help. See Bullish: How to Delegate, and Why It’s Important Even If You Just Make Coffee for more on this topic. 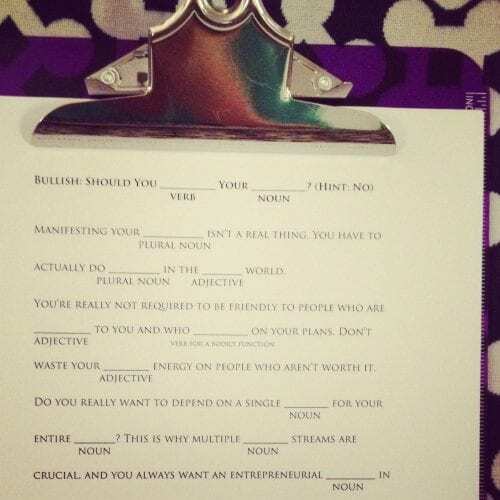 Maybe make a list entitled “Who can help me?”, and take a look at it when you are behind on your obligations. Finally, the hallmark of good delegation is removing items from the list that never should have been on there in the first place. Some things don’t need to be delegated because they don’t need to be done at all. I talk about this a lot (here, here, and here, for instance). I think that defining your values can be helpful in diagnosing the root cause of laziness. A client of mine had been studying for the GMAT, and then had taken a break and was lamenting that she couldn’t seem to get back into studying. She used to study twenty hours per week! And now she’d forgotten most of what she learned and couldn’t bear the thought of studying again. 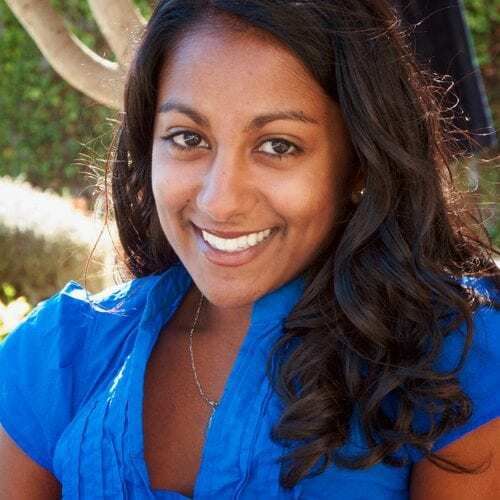 It turns out that the client was waning in her commitment to the GMAT for very good reasons! She had been planning to attend business school part-time while keeping her job, where her supervisor was very supportive of her business school plans. During her time off from studying, however, the supervisor left the company and there was talk of her own job being eliminated. So, she really wasn’t sure about business school anymore. 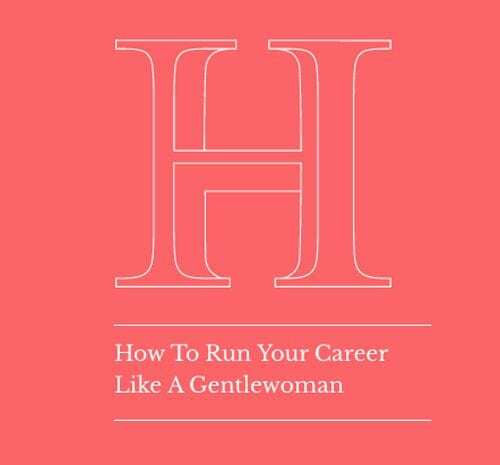 Furthermore, having just divorced her controlling husband, the idea of tying herself to a desk – and then being at the mercy of professors – really lacked appeal. It’s not laziness if you stall along the way to someplace you don’t even want to go. My client decided that she needed to focus on her job search, and that she wanted to enjoy single life. “It sounds like the theme of this phase of your life is something like, ‘new beginnings,’” I said. She loved it. 4. Examine whether guilt is actually appropriate. If you feel bad about feeling lazy, should you? What’s not getting done? What did you promise to others? If you told those people that you’ll have something done by December instead of August, how much of a disaster would it be? Would you really be compromising your job or letting others down, or just not making as much money for yourself, or not progressing as fast as you’d planned? Is guilt actually appropriate? It might be, but it might not. Don’t get me wrong, I’m not a member of the you-go-girl brigade, where everything we do is awesome and no one should ever feel guilty. Sometimes blame and guilt are appropriate. But make sure they’re actually appropriate. Would your future self want you to feel bad? Recently, I realized that I’ve been feeling guilty about not living up to my own superhuman work standards. However, I just got engaged, I waited until my thirties to enjoy summer, so it’s really about time, and also, as a result of a decade or so of incremental achievements and improvements in the way I do business, I have an assistant and a web designer banging things out even when I’m lying on my hammock, doing very little. Also, seriously, I write two Bullish columns per week. A lady needs some time to think. I realized that my “guilt” was pretty much unfounded, and probably based on the blue-collar view of money that I grew up with – that “an honest day’s work” must necessarily involve eight hours of labor for a boss, for which you are paid by the hour. A more productive view is that accepting money in exchange for creating value – or masterminding the creation of value – is an honest way of doing business, and it’s none of anyone’s business how many hours per day it takes you. Then go have a bitchin’ good time. Don’t sit in front of a desk just to say you sat in front of a desk. There is no virtue in unproductive chair-sitting. Maybe it would be best if you worked towards your goals, while also living well. So, second best would be taking a break from your goals while partying like a rock star, or like Christopher Hitchens in his heyday, or like a librarian who curls up in an armchair at home and secretly reads the books she wrote scathing reviews of for the Young Adult Fiction newsletter. Very LAST PLACE would be getting nothing done while also whining and bitching and complaining about it and also not enjoying yourself and also not refreshing yourself for future work or having any awesome drinking stories to tell your grandchildren. Seriously, there is no virtue in suffering for its own sake. You are not a better person for sitting in a chair, accomplishing nothing, waiting it out until some magical hour that it’s okay to get up and enjoy yourself. Originally published on The Grindstone. Read Part II here.